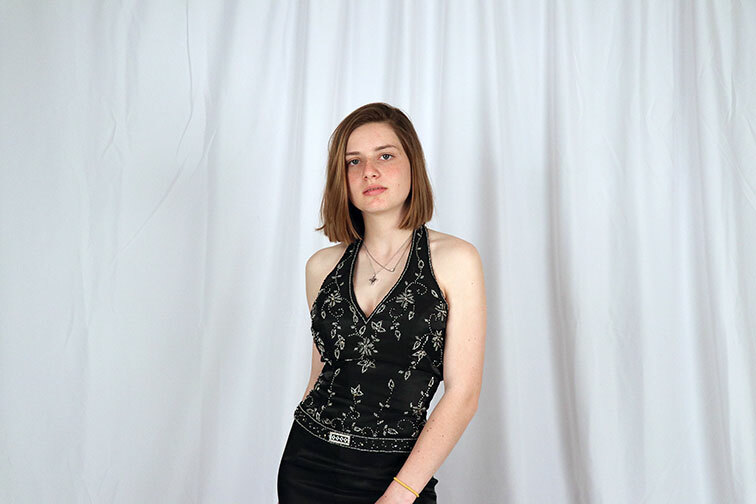 Senior Katherine Cates models a black halter dress for the prom closet website. Everyone knows that Prom is expensive. From the dress, to shoes, to paying for the tickets, Prom is an event that can be difficult to pay for when economic hardship strikes. USA Today said that teens spend around $600 on Prom according to a survey Yahoo Styles conducted in 2017. English teacher Katie Wallace is trying to help students who may not have the economic means of spending hundreds on a prom dress. Wallace has collected over 100 prom dress donations from around the Dallas metroplex. She is going to let LC students rent out the dresses for just a $18 fee. 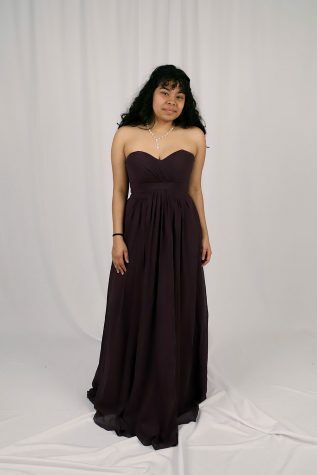 Sophomore Cecilia Torres models a long purple dress for the prom closet website. To help promote the dresses, Wallace has teamed up with Deanna Hand’s commercial photography class. Hand’s students modeled and photographed the dresses. They plan to put the photos on a website for students to browse to find the dress they want. The photographer practice gives commercial photography students the ability to dive into first hand photography experience. The $18 fee just goes to the cost for Wallace to dry clean the dress before and after use. Wallace’s mother has also offered to fix small flaws or tears on the dresses. 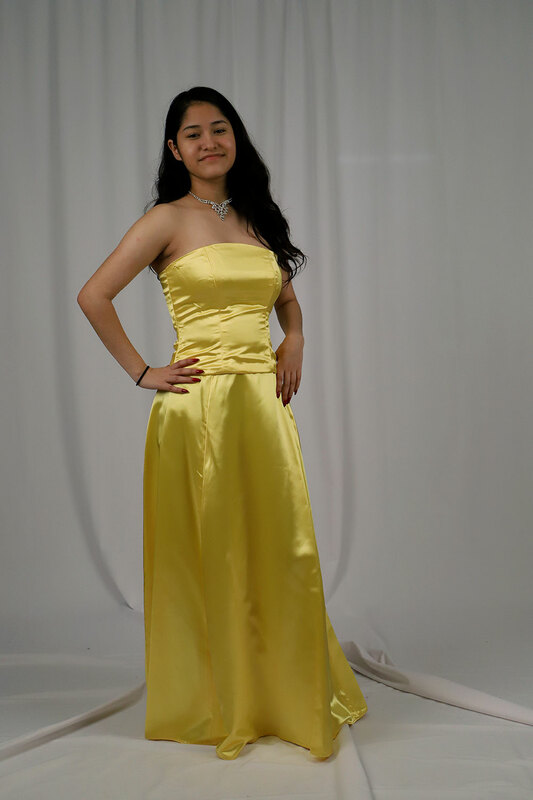 Sophomore Elaine Arguello models a long, two-piece yellow dress for the prom closet website. 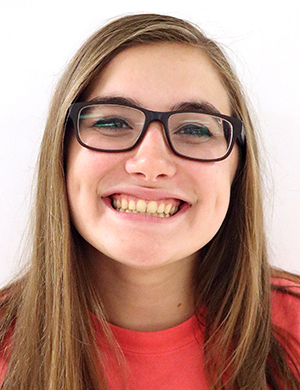 Wallace hopes to expand the prom dress closet and options more. She said she would like to receive more donations and to open the closet to other high school students too. The website is expected to be up soon. LC students are invited to look at the variety of dresses and choose one for an affordable price. “I’m hoping it makes Prom more accessible to people who wanted to go but can’t afford all the expenses.” Wallace said.